From 812 subscribers and 248,495 video views on January 1, 2014, to 1,502 subscribers, and 450,566 video views, on January 1, 2015! 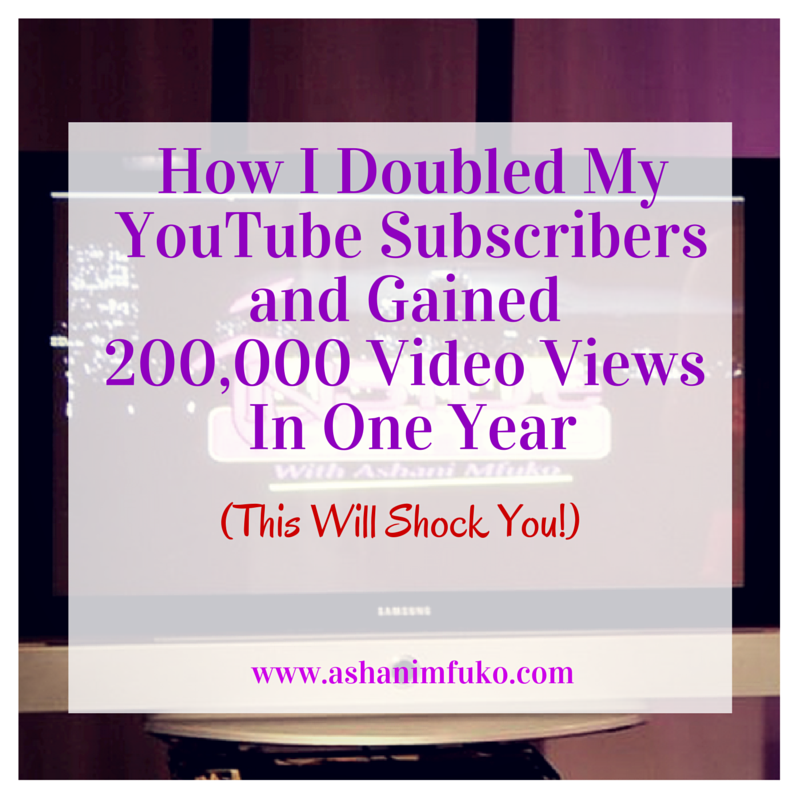 I am AMAZED at how much my YouTube channel grew in 2014!! It blew my mind! 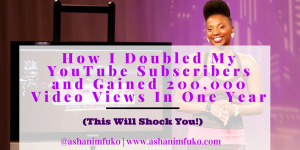 My number of subscribers almost DOUBLED, and I gained over 200,000 video views! Confession: I did NOT update my YouTube channel, not even ONCE, in the year 2014. Nope! Nada! Zip! Zilch! As most of you already know, I had a baby in November of 2013. So 2014 for me was a crazy busy, and somewhat overwhelming year. 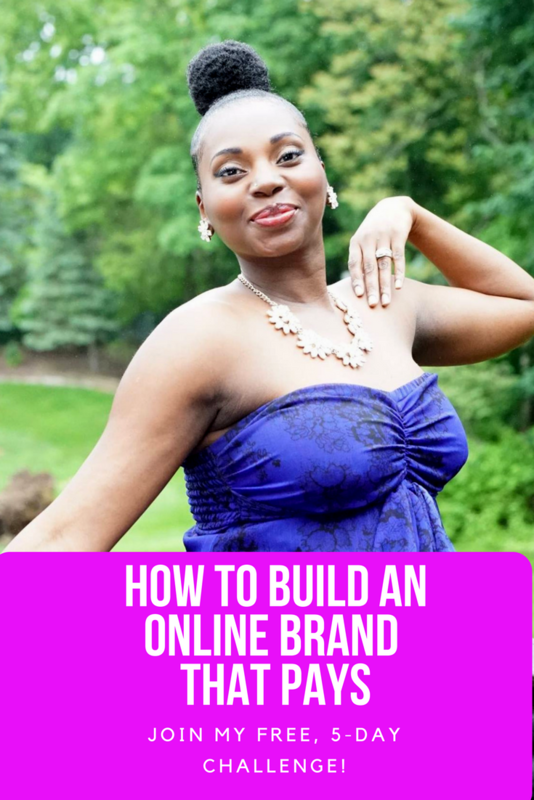 Between learning how to take care of a newborn, adjusting to motherhood, working from home, creating and managing social media strategies for clients,teaching dance classes, blogging, growing my brand, etc., I had a LOT going on! Unfortunately, this meant, no time to update my YouTube channel. Plus, I wasn’t teaching dance as much last year, so I didn’t have a ton of new material to add to my channel anyhow. But prior to having my daughter, and also getting pregnant, I was very active on YouTube. 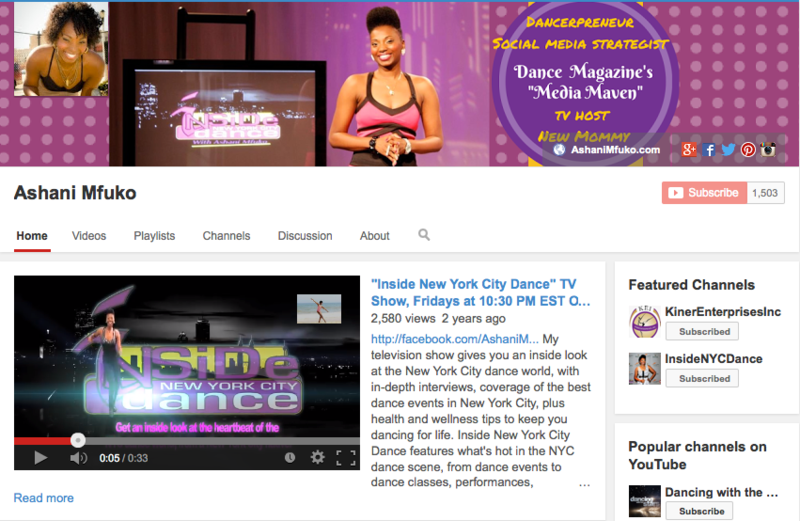 On my main dance channel, I would post a new dance class video once a month, and I also updated my channel with other dance-related videos regularly. I actually have 2 active YouTube channels (make that 3, as I’m starting a new mommy channel this year). So on my main channel’s home page, I created playlists to help my viewers navigate through all of the different types of content that I have to offer. 1. I Optimized My Videos For Search Engines. 2. I Consistently Shared My Videos On Social Media. 3. I Optimized My YouTube Channel Home Page. 4. I Added A Featured Video and Watermark. 5. I Uploaded My YouTube Videos Directly To Facebook, With A Call To Action And Link Back To My YouTube Channel. You can read my blog post on how to optimize your YouTube channel for maximum video views here. But today, let’s talk about why videos should be a top priority in your brand’s social media strategy. Videos are POWERFUL!!! Using videos to promote and grow your business or personal brand is a great way to work smarter, not harder. 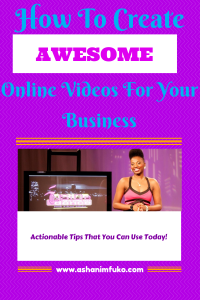 Videos give you the most bang for your buck, particularly when you have awesome, high-quality content to share. That is the key. You MUST have high-quality content, and it needs to look good. HD videos are always best. Plus good lighting, sound, etc. 1. The Facebook News Feed LOVES Videos. 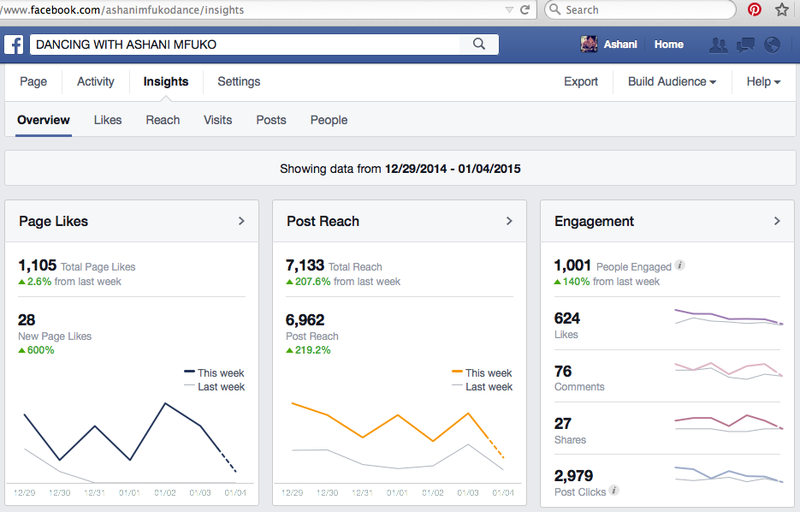 My Facebook page’s organic reach skyrocketed once I started uploading more of my videos, directly onto Facebook. It’s amazing! Hands down, my videos are the posts that get the most organic reach on my Facebook fan page. They have a lot to do with the fantastic numbers you see on my insights below (note that I do not pay for any Facebook advertising). If you want more of your fans to see your content, and engage with it, without paying for advertising, start uploading more, high-quality videos, directly to your Facebook page, and watch what happens. Be sure to add a call-to-action to your video on Facebook, with a link to your YouTube channel. 2. YouTube is the second largest search engine, in the world. Google owns YouTube, and as a result, they are always going to highlight YouTube videos that relate to keywords you’re searching for on Google. But millions of people also go directly to YouTube to search for information, tutorials, resources, and entertainment. So if you have content, that is search-engine optimized, when people search for videos related to your niche, your videos will automatically show up. I feel like YouTube does so much of the work for you, so long as you know how to use keywords and tags in your video titles and descriptions. Remember, the more engagement (likes, shares, and comments) your videos receive, the higher up they’ll show in searches on YouTube. This is FREE traffic to your channel, and ultimately to your website too! Having an active presence on YouTube will dramatically enhance your brand’s image and status on social media! 3. 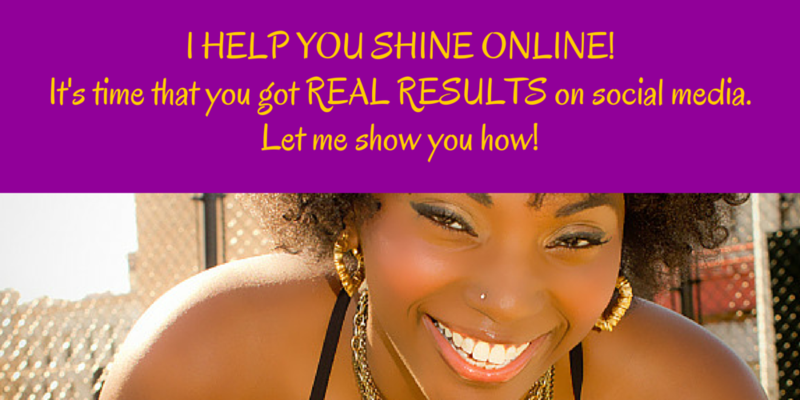 People Like To See You In Action, Before They Invest In Your Products Or Services. It’s great to visit your website, and read about your products and services. It’s cool to follow you on social media, and like, share, and comment on your photos, and links. But it is personal, eye-catching, and attention-grabbing to watch you (or your customers/clients) in action on video! That gives your target audience a chance to experience what your brand is all about, on a more tangible level, which motivates them to take action, based on what they see. With all of the noise on social media, videos are one of the most powerful marketing tools to help you stand out from your competitors, and grab the attention or your target market. Are you using videos to promote your brand in 2015? Do you have more questions on how to use videos to grow your business? Post your comment or question below. I’d love to hear from you!